Mexican Museum Under Contruction. Third and Mission Streets. Sad Old Mission Buildings Have Familar Faces. Mission and First Streets. New Transbay Terminal Has Some Beauty. First and Howard Streets. 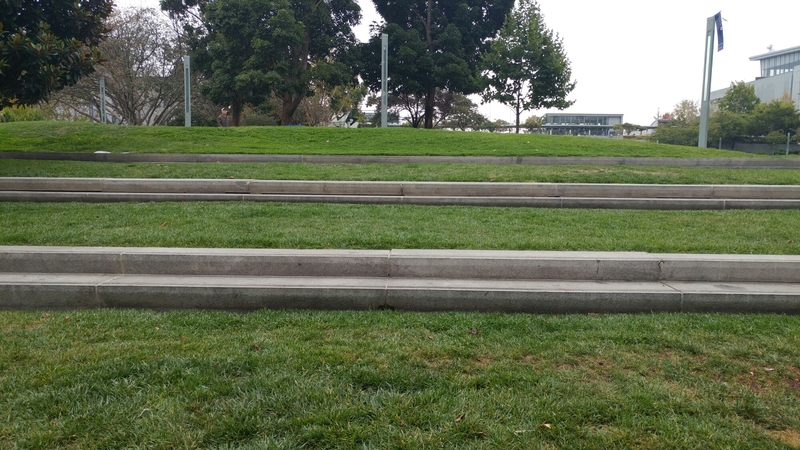 Lawns As Landscape at Yerba Buena Gardens. Mission and Third Streets.